2 lb. 10 oz. Jar of RRH - Really Raw Honey - "Straight from the hive"
View cart “5 lb. Case RRH” has been added to your cart. 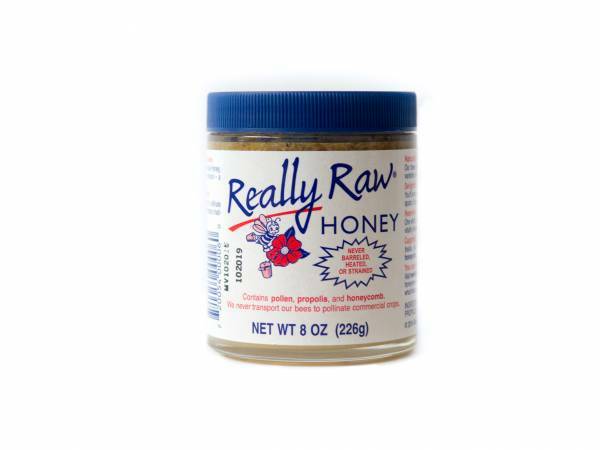 I could never stand the taste or smell of honey until I tried Really Raw Honey. Now, after 52 years of refusing to eat honey, it is part of my daily diet. I put it in my tea and plain yogurt. I eat a teaspoon of it to help with acid reflux and to soothe sore throats and quiet coughs for me and the rest of my family. It tastes great, smooth and creamy. My household will never be without a jar of Really Raw Honey.